The Mobi-C top plate moves over the plastic insert. The plastic insert slides across and twists on the bottom plate. The muscles and soft tissue in your neck move the vertebrae and the attached Mobi-C plates. With vertebrae and neck muscle movement, the Mobi-C is free to twist and slide left-to-right and front-to-back. 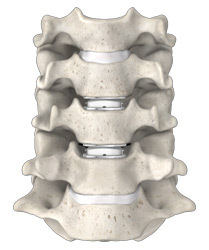 This allows the vertebrae above and below the Mobi-C to move. 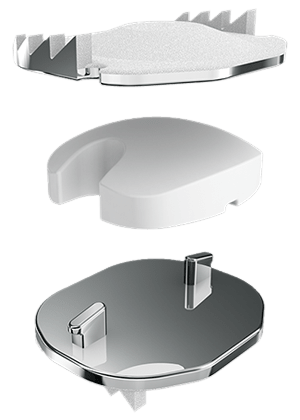 This feature is designed to allow the disc to self-adjust and move with the spine, which is intended to facilitate motion similar to the natural cervical spine. There are no invasive keels or screws required for Mobi-C placement. No bone chiseling eliminates operative steps and preserves the vertebrae for a stable surface ideal for one or two-level implantation. The Mobi-C disc has three parts: two metal plates and a plastic insert in the middle. The plates are made of a mix of metals commonly used in spine surgery (cobalt, chromium, and molybdenum). The plates have teeth on the top and bottom that help hold the plates to the vertebrae. The teeth are pressed into the bone with no bone cut out, which makes the Mobi-C design and technique bone sparing. The outside of the metal plates are sprayed with a coating (hydroxyapatite). This coating helps the vertebrae to grow and attach to the metal plates for long term stability. The plastic insert is made from polyethylene. The insert is flat on the bottom and round on the top. 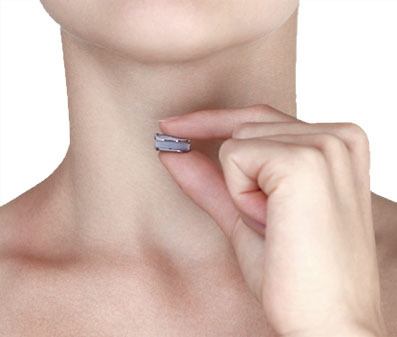 The insert is made to move as you move your neck. Mobi-C eliminates operative steps with no bone chiseling required to cut a path for teeth or screws. 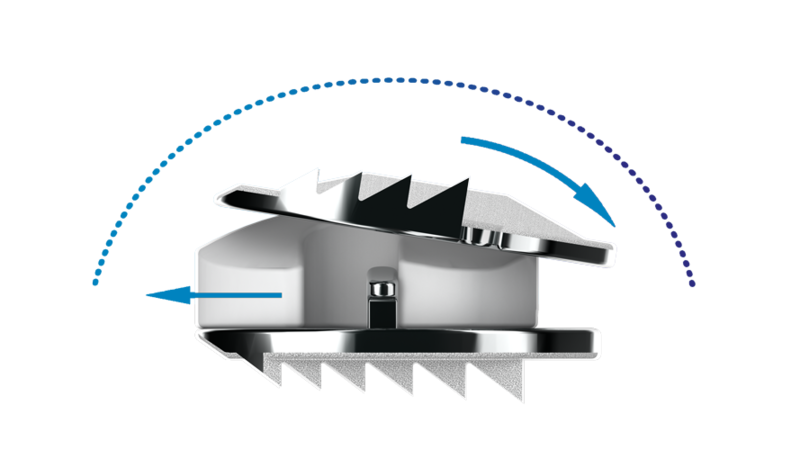 After disc preparation, Mobi-C can be inserted in one step. Mobi-C comes preassembled on a plastic cartridge. 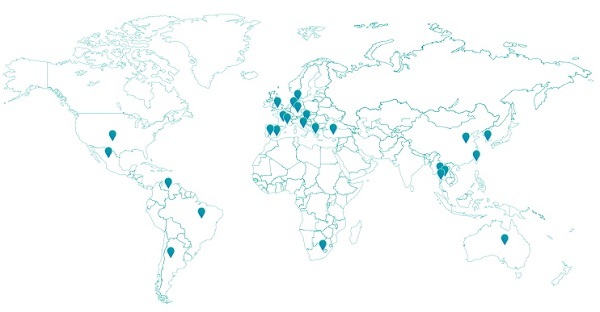 This simplifies implantation, and allows an X-ray view of the implant for optimal positioning. Try to match a healthy disc height to help un-trap any nerves. Tries to maintain neck movement. Fits entirely within the disc space.